“Feeling The Heat is part investigative work about the labours of science, part wrestling match with the dark messages about climate change, and part adventure story. Chandler provides an enduring, personal, intelligent and compassionate account of scientific research in Australia’s climate frontiers – the places most vulnerable to warming. And we are left with a gorgeously written, sometimes elegiac book that bears witness to the world that is being transformed and lost. — Review Dr Peter Christoff (lecturer in climate policy, University of Melbourne), The Age (29/07/11). “With wit and great humanity, Jo Chandler brings the sceptical intelligence of the investigative journalist to tell us what’s happening with climate change and why we are so conflicted about this issue. Everyone who cares about the future should read this book.” — Professor Peter Doherty, Nobel Prize Winner. “It’s a journey on the front lines of climate science that masterfully weaves highly compelling data into an accessible and engaging story.” — Geraldine Brooks, Pulitzer Prize winning author and journalist, The Sydney Morning Herald (13/12/13). “For those baffled by the competing claims of climate scientists and strident sceptics, this accessible book puts arguments into perspective. The writer is neither scientist nor sceptic but an everywoman concerned with what the future might hold for her children … Writing with head and heart, she neither overloads with dry facts nor slips into misty romanticism. Her tone is measured and elegant, making her conclusions all the more unsettling.” — The Sydney Morning Herald: Review Joyce Morgan (4/6/2011). “This beautifully written book tells the climate story with an unflinching and deeply personal honesty” — Clive Hamilton, author (“Requiem for a Species: Why We Resist the Truth About Climate Change”) and Professor of Public Ethics at the Centre for Applied Philosophy and Public Ethics, a joint centre of Charles Sturt University and the University of Melbourne. “From ice field and coral reef, Chandler reports on the latest in climate science, as if meeting the inhabitants of a distant country where they do things different … Chandler’s work is infused with a love of the natural world, the thrill of the search to understand it, and anger at how we are coping with man-made change. 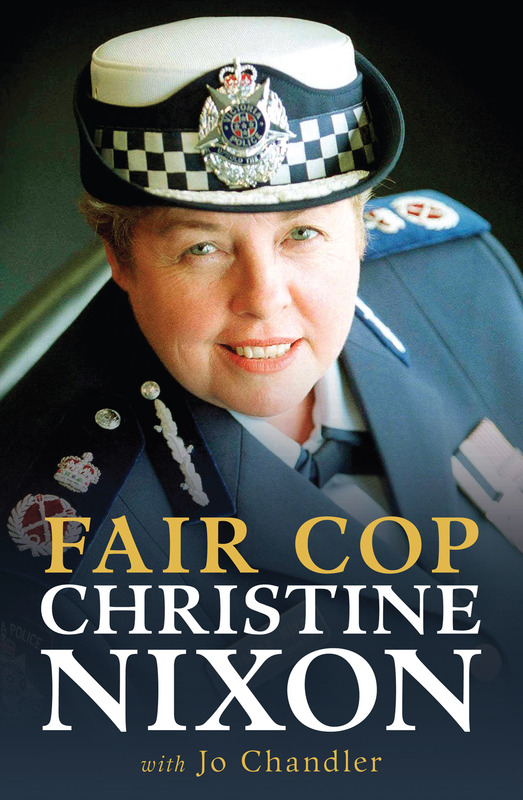 Here we are, dithering at best, or engaging in criminal deception at worst.” — Review in Australian Book Review July-August 2011, Rosaleen Love (lecturer in the history and philosphy of science; honorary research associate at La Trobe and Monash Universities). “When it comes to climate change and global warming, there are catastrophists and there are sceptics. And between the two of these extremes we are supposed to understand and accept hysterical arguments that our world will soon change (or not) and become uninhabitable (or not). 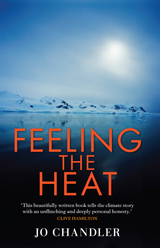 Then along comes the modulated, calm and intelligent voice of Jo Chandler, senior writer for The Age, whose book Feeling the Heat is a tour de force of reason and journalistic research and explanation. From the Antarctic to the north Queensland tropical rain forests, Walkley Award-winner Chandler uses the information she obtains from scientists to see for herself the current state of Organism Earth, and the probable ramifications if humanity doesn’t change its ways very quickly … Chandler uses the apporach of the tourist guide, the genial if alarmed chaperone on a journey to understand how the earth’s warming will effect us all. What an unutterable pleasure it is to read this sensitive account.” — Review Alan Gold, Good Reading Magazine (June 2011). 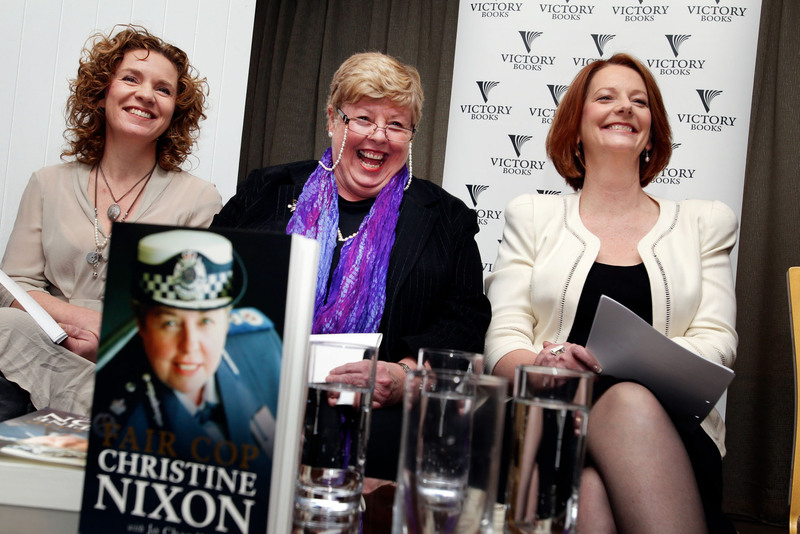 Jo Chandler and Christine Nixon with Prime Minister Julia Gillard launching “Fair Cop”, Nixon’s memoir co-authored by Chandler. — Professor David Bayley, Distinguished Professor in the School of Criminal Justice, State University of New York at Albany.